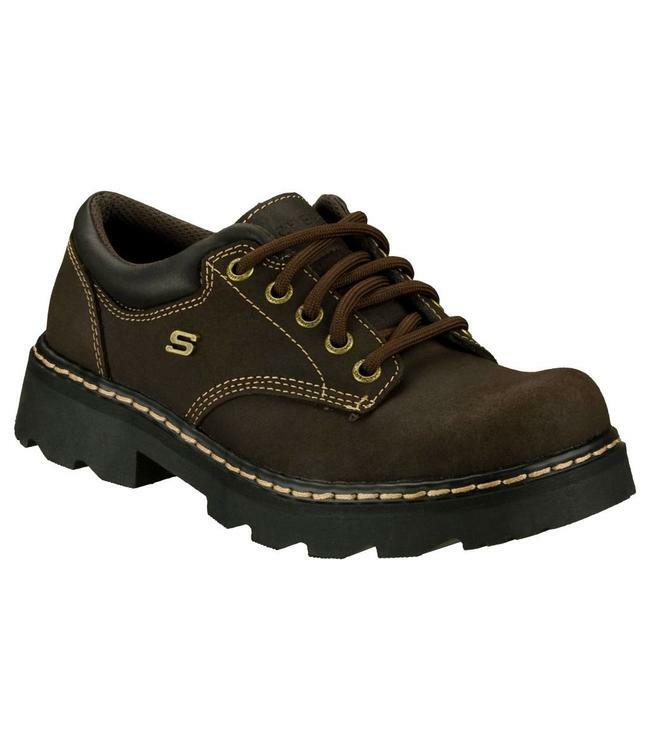 Look stylishly tough in the SKECHERS Parties-Mate oxford. Scuff resistant leather in a casual lace up oxford with plain toe. Stitching and overlay detail.